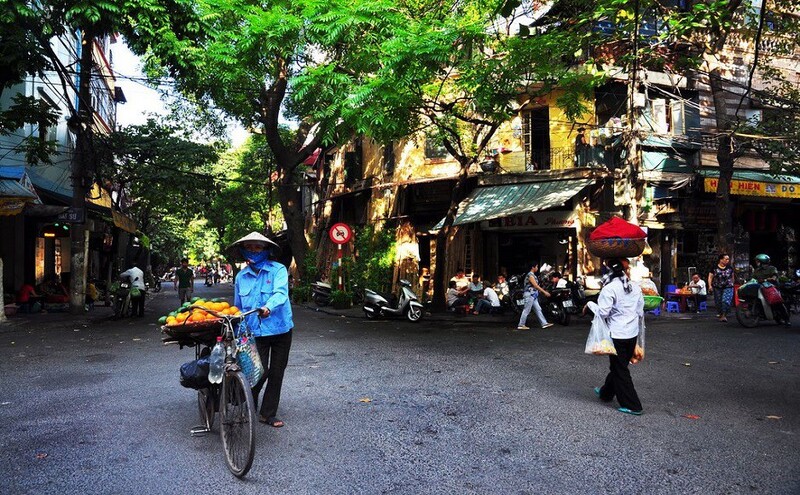 Ask how many times you get lost in Hanoi Old Quarter, this is one of the interesting experiences Viet Unique Tours have for visitors when visitors come to Hanoi. The Old Quarter is the first name comes up to my mind when mentioning Hanoi. Its characteristics feature in the way it’s called: Old. There once gathered a lot of merchants doing their commercial activities. Since then, specialized streets of goods were formed and maintained up to now. In the need of buying something, people can still find out the true address based on the street names. For instance, Hang Ma specializes in Paper products, Hang Dao sells products from silk or cloth, or one can buy combs in various materials in Hang Luoc, etc. All of these traditional stores lie intensively in the both sides of meandering lanes, therefore, tourists are highly recommended to walk or hire a cyclo to explore the Old Quarter.That offers the appropriate speed and comfort to visit, take pictures, and drop in any stores for souvenirs. 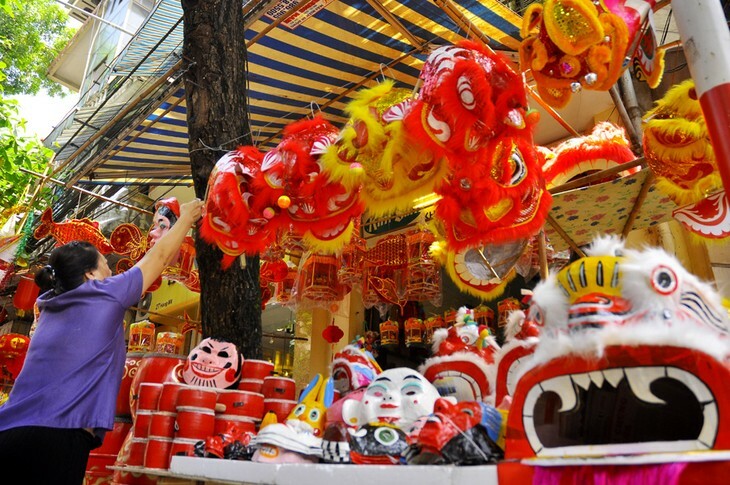 Interestingly, roaming across those narrow streets, especially Hang Ma street, on accasions of holiday like Lunar new year, Mid-Autumn festival, Valentine, etc, tourists will get lost in a wonderland fullfilled with colors, stunning products, and lively atmosphere. Although Mid-Autum festival has just ended few days ago, people now have already felt a creepy atmosphere of Halloween festival, which is imported from the Western countries. Dozens of Halloween symbols are represented via products like: evil masks, pumpkins, skeletons, tombs, wicthes, so on and so forth. It is also worth seeing around the other streets in Old Quarter area. Paying a visit to Hang Bac, which is about 400 meters to the North from Hoan Kiem lake, you will have to appreciate a plentiful source of sophisticated handiworks from genius goldsmiths. The majority of which are accessories mostly for women and children such as necklaces, rings, earrings, etc. Notably, historical ramnents considerably contribute to a “venerable Hanoi”. Quan Chuong gate is a popular illustration. It is located in Hang Chieu street, Hoan Kiem district, and said to be the only entrance to the city remained after the war ravages. Quan Chuong gate was constructed with one main entrance in the middle and two other sub-entrances in the two sides. Many tourists choose Quan Chuong gate to be the photo-taking site due to its antique appearance and epic history. At night, the Old Quarter becomes more bustling and energetic with hundred of people flocking to the street. That is the reason why the Old Quarter has long been regarded as a never-sleeping place, an one and only place in Hanoi that possesses the power to risist the flow of time. By this way, Hanoi has a strong attraction to touristd from all over the world, even Vietnamese residents who want to remind and preserve cultural values dated back to hundred years ago.